Rather than having one single speaker, we are inviting everyone to share a well-loved Bible verse, saying, poem or song during worship. Tell us what it means to you, or why it struck you when you discovered it, or anything else you’d like to say about it. This will help us to get to know each other a little bit better, and help deepen our time together with God; additionally, it may give us some sense of what the Apostle Paul was talking about when he wrote, “When you assemble, each one has a psalm, has a teaching, has a revelation, has a tongue, has an interpretation. Let all things be done for edification.” (I Corinthians 14:26b). Singing Ensemble rehearsal at 1 PM. 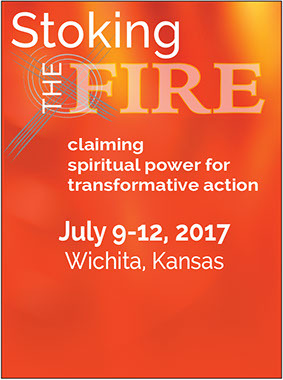 And please also keep Guiseppe Rensi, Stanley Ngesa, and me in your prayers Sunday and all through the coming week, as we gather with other Friends from across the US, the Caribbean, and East Africa, for the Stoking the Fire gathering and the Friends United Meeting Triennials, in Wichita, Kansas. God’s abundant blessings to all!